The Screwtape Letters is one of C.S. Lewis’ most famous works and in November, the theatrical production of this provocative novel returns to Manhattan for a limited engagement run. 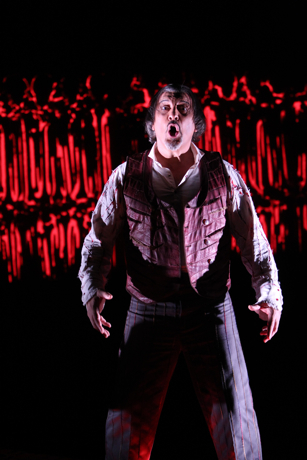 The Screwtape Letters rises from the pit of hell and onto the stage of NYU’s Skirball Center (566 LaGuardia Place) for five performances starting on November 16 and ending on November 18. 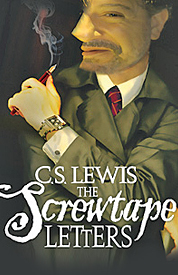 The Screwtape Letters centers on His Abysmal Sublimity Screwtape, brilliantly played by award-winning actor Max McLean, and his minion Toadpipe, as they mentor apprentice demon Wormwood on how to calculatingly damn a human soul. 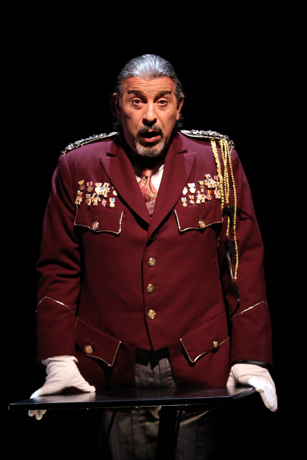 In 2010, The Screwtape Letters had a triumphant nine-month run at the Westside Theatre. Check out what we had to say about this phenomenal production, https://famenycmagazine.com/2010/12/01/the-art-of-a-great-bamboozle/. 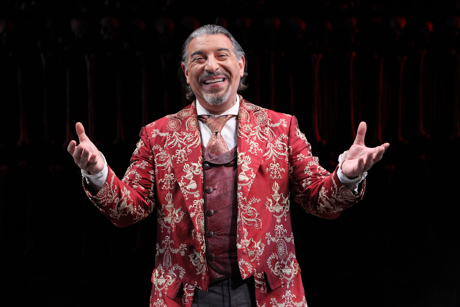 The Screwtape Letters is a searing slice of good theatre and should not be missed. F.A.M.E NYC suggests securing your tickets today. This season the essence of C.S. Lewis is alive and well on stage. One incarnation of the atheist turned Christian apologist, novelist, lay theologian and academic was in the form of the man himself in Freud’s Last Session, a drama depicting a fictional meeting between Lewis and Sigmund Freud. The other appears in an adaptation of The Screwtape Letters, one of his most popular works, by the Fellowship for the Performing Arts. The book, published in 1942, is a series of letters authored by Screwtape (a senior demon in the dominion of hell) to his nephew Wormwood (a junior tempter just recently sent into the world). Screwtape’s annotations offer the young demon a guide on how to lead a man down the path of damnation towards “Our Father Below” (the Devil) and away from “The Enemy” (God). 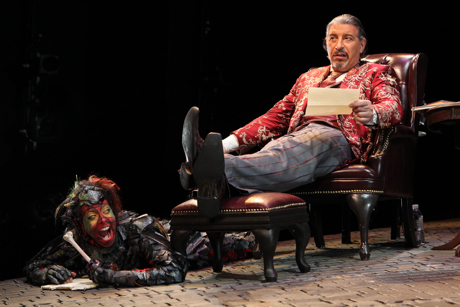 Playing at the Westside Theatre, The Screwtape Letters is a 90-minute mental gobstopper. As the play opens, His Abysmal Sublimity Screwtape is addressing The Graduation Banquet at the Tempters College for Young Demons. As the spirits of Hell feast on the numerous human souls they have swayed from “The Enemy,” Screwtape reminds the neophytes that although the substance of their supper does not have quite the same zing as true evil-doers like Hitler, there are plenty of humans willing to take the slow methodical road to the underworld by committing smaller sins. His chilling speech is an eerie reminder of the phrase, “We are in the last days,” an expression my aunt would always say when adding her two cents about the news. But it was not until I witnessed this scene that I realized the last days did not mean the 20th or 21st century, in fact, my aunt was referring to every day after the infamous apple bite. Following the banquet scene, the rest of the production is carried out in Screwtape’s office, which is constructed of bones. Besides his scowling, transforming minion Toadpipe (played by Beckley Andrews), Screwtape is the only character that appears on stage. Wormwood, “The Enemy”, “Our Father Below”, Slobgob, “The Patient” (The young man Wormwood is attempting to beguile) and “The Woman” (The Patient’s love interest) are all unseen characters that are vividly resurrected through Screwtape’s salacious soliloquy. The Screwtape Letters is a timeless piece of work that needed to be reintroduced to the public more than ever before. Indeed with the global economic state, constant threat of terrorism and conflict and the slow disintegration of man’s respect for nature and his fellow man, there is not one human being that can afford to miss this production. Max McLean co-wrote and co-directed this adaptation and brings the letters to life in glorious fashion. As Screwtape he is evil personified. The disdain he exhibits for humans and God as well as the lusty pleasure he receives from devouring souls is completely convincing and compelling. I was gobsmacked by the God smack that was delivered to my state of consciousness. In fact, amusement is only one of the functions of this show, the other (and I believe chief) reason for this production is to present a thriving, thorough account of how man can be so easily led down the primrose path. Screwtape, Wormwood and those who work for “The Enemy” are spirits, humans, as Screwtape puts it, are “amphibians—half spirit and half animal.” It is the animal half he instructs Wormwood to target when tempting “The Patient’s” spirit. He outlines how pride, religion, pleasure (a device created by God) can be viable tools for manipulation. He details how prayer can cause immediate action by “The Enemy” and a demon’s best time to strike is during quiet times of reflection. But the most significant disclosure Screwtape shares with his nephew is the law of Undulation which is, “the repeated return to a level from which they (humans) repeatedly fall back, a series of troughs and peaks.” The satirical commentary ends with Wormwood losing “The Patient” to “The Enemy” and becoming worm bait for Screwtape and Toadpipe. Revelations 20:20 is an idiom I say when referring to the clarity that is gained by hindsight. Watching The Screwtape Letters brought to life on stage offered more of a revelation than I ever anticipated. The audience learns that every transgression counts. In the end, all of Screwtape’s devices to entice us with vices leads to one well-known (but often forgotten) conclusion, the Devil and his sycophants are liars whose misdirection is the most direct passageway to becoming tasty morsels at Hell’s buffet. Hats off to Max McLean for reminding us that we are all soldiers in the war for our souls, The Screwtape Letters ends its New York run on January 9, FAMERS make sure this show is the only trip to Hades you ever take.